NEST Fragrances, a leading luxury home fragrance and beauty product manufacturer, announces the introduction of Sir Elton John’s Woodside Garden to benefit the Elton John AIDS Foundation, one of the world's leading nonprofit organizations supporting innovative HIV prevention programs for vulnerable and marginalized populations. The new luxury scented candle features a sophisticated and unique arrangement of notes inspired by Elton’s favorite flowers from his floral gardens at Woodside in Old Windsor, England, including hyacinth, freesia, rose, and jasmine. 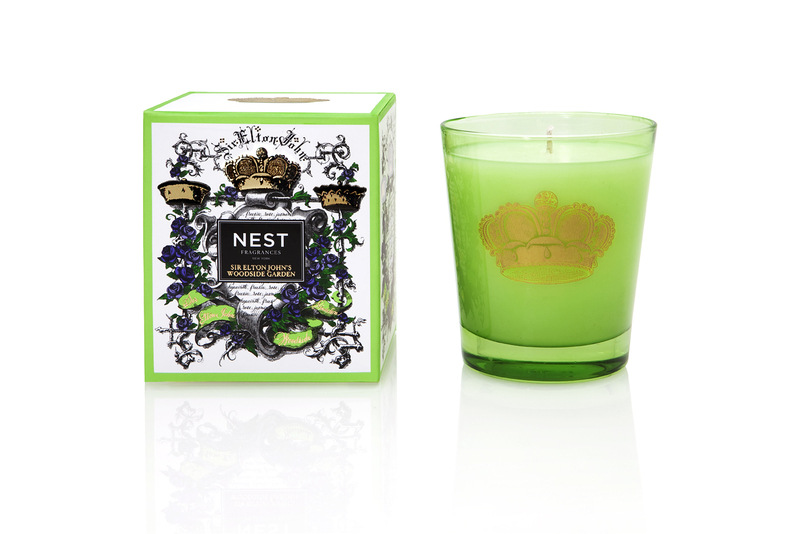 Housed in a brilliant translucent chartreuse glass container stamped with a regal gold crown, Sir Elton John’s Woodside Garden is the second in a series of NEST Fragrances candles to benefit the Foundation, following last fall’s debut of the enormously successful Sir Elton John’s Holiday candles. Similar to Sir Elton John’s Holiday, the source of inspiration for the ornate and striking design on the Sir Elton John’s Woodside Garden candle packaging and glass is based on an etching of a coat of arms crest belonging to a noble family that lived in Luxembourg during the 1800s. The design underwent creative modification with the inclusion of gold accents, lavender roses and green foliage drawn into the artwork. Bernard Maisner, an internationally renowned calligrapher, fine stationer and artist, blended in custom-made, hand-written calligraphic lettering in both a medieval gothic style and a Renaissance italic humanist script. The artwork similarly blends old and new in a playful and light manner, featuring majestic gold crowns and gothic calligraphy. 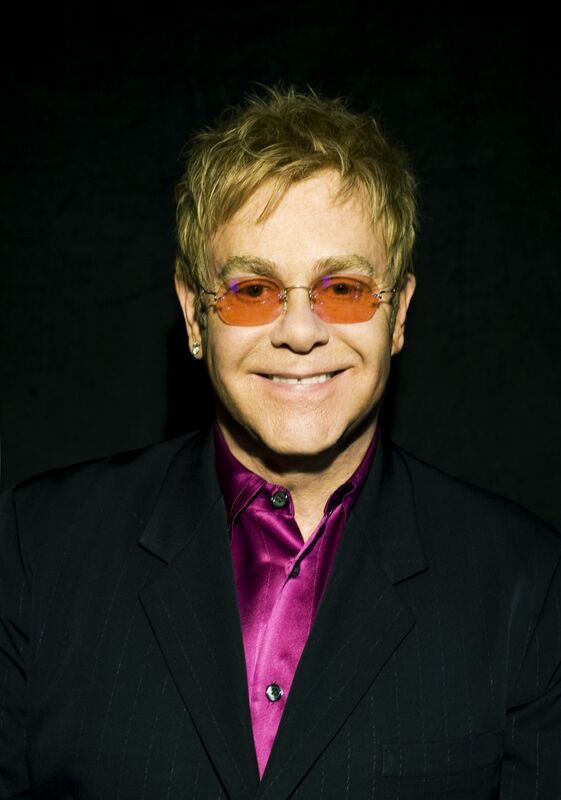 The Sir Elton John’s Woodside Garden is available in an 8.1 oz. candle for $38 (SRP) and can be purchased at Bergdorf Goodman, Neiman Marcus, shop.nestfragrances.com and specialty stores nationwide beginning in February. A portion of the proceeds from the sales of the candle will benefit the Elton John AIDS Foundation. To obtain product samples and high-resolution images, please contact Tim Rossi (contact information above). 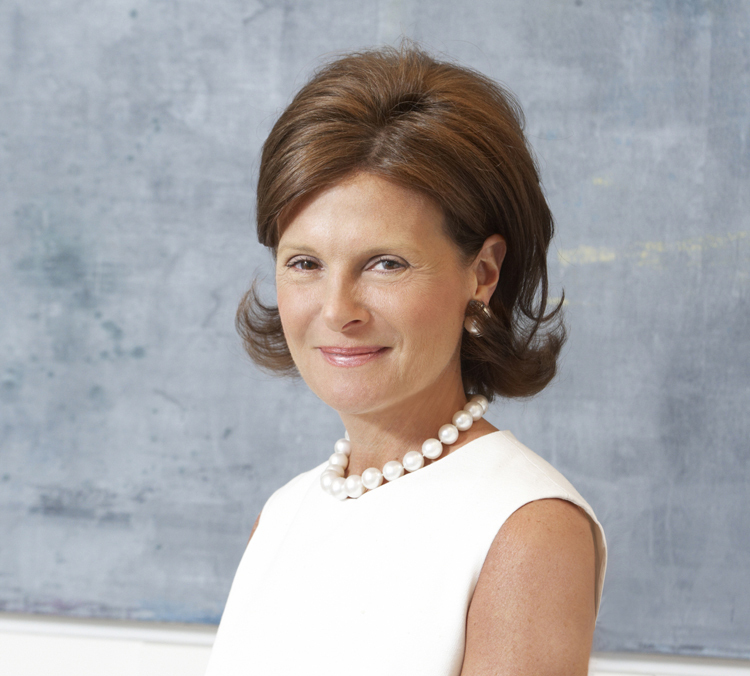 Founded and owned by Laura Slatkin, NEST Fragrances (NEST) is a specialized home fragrance company that emerged from its parent company, Slatkin & Co., after it was acquired by Limited Brands, Inc. Laura has a long-standing reputation as a leader in the home fragrance industry and is well-known for her luxurious scented candles, room sprays, diffusers and other essentials for rooms and environments. NEST’s client list currently includes more than 70 prestige companies in the fashion, beauty and home fragrance industries – all of whom turned to NEST to develop their own exclusive line of home fragrance products. In 2008, Laura launched her own home fragrance collection, NEST Fragrances, which won the 2009 FiFi Award for Interior Scent Collection of the Year. NEST draws on decades of experience in the home fragrance industry with a special expertise in designing, developing, producing, distributing and marketing home fragrance collections that capture each client’s unique brand image and style. 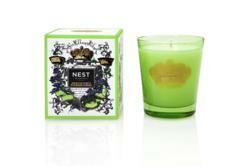 For more information, visit http://www.nestfragrances.com. NEST can also be found on facebook and Twitter. The Elton John AIDS Foundation (EJAF) was established in the United States in 1992 and in the United Kingdom in 1993 by Sir Elton John. Together, both entities have raised more than $225 million for worthy programs in 55 countries around the globe since inception. Today, EJAF is one of the world's leading nonprofit HIV/AIDS organizations supporting innovative HIV prevention programs, efforts to eliminate stigma and discrimination associated with HIV/AIDS, and direct care and support services for people living with HIV/AIDS. The U.S. organization’s current grant-making priorities target HIV prevention programs throughout the United States, the Americas, and the Caribbean; HIV prevention and care services for highly marginalized and vulnerable populations; and HIV/AIDS prevention education and the promotion of sexual health for adolescents. For more information, please visit http://www.ejaf.org.